The Music Bus is a well established business teaching kids music for well over a decade. The Music Bus allows primary schools to economically put back or support their current music curriculum program. It is proven that music education increases learning ability in children for Maths and English, not to mention developing creative and social skills. 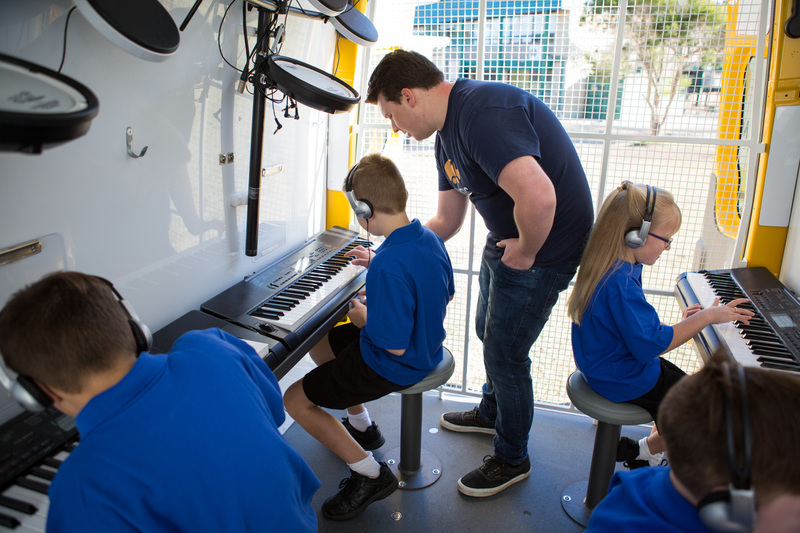 At The Music Bus we believe all kids should be given the opportunity to be taught music in a fun and dynamic environment. We now need interested people to come share and help creating further opportunities across Australia. Not only does The Music Bus give you students from day 1, we have interested schools that want to launch the program in their schools and we urgently need Franchisees to cater for the growth and demand. We also have a well developed growth model & system for you to fill your Music Bus and secure your desired profitability. The Music Bus is a highly developed franchise model. Created in conjunction with Franchise Works, the design and development of your Music Bus is fully organised and facilitated with a fully supported marketing program targeting schools to secure and fill your Music Bus. Non-teaching franchisee: Someone who does not wish to teach, but is enthusiastic about marketing the Music Bus concept and employing a teacher to teach the classes. We have successful franchisees in both scenarios. Is this the right Franchise for you? looking for passionate Franchisees today.